Sladen Legal also offers Phone Call Appointments. Sladen Legal, part of Harwood Andrews, is a refreshingly different kind of law firm based in Melbourne. 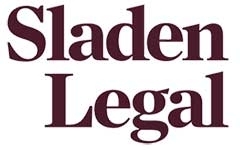 The lawyers at Sladen Legal are dedicated to providing expert legal advice and services to businesses and achieving the best outcomes for our clients. Sladen Legal is also a B Corporation committed to having a positive impact on our environment and community.